Worksheets are a reality in teaching. No matter how many hands-on activities we do, there will always be a time when a worksheet is necessary. A worksheet doesn’t have to be a boring and tedious experience though. Instead, we can use these cooperative learning strategies for any worksheet to turn “just a worksheet,” into a collaborative learning experience. The fact is, using cooperative learning strategies with worksheets means students work together towards a common goal while scaffolding for one another AND fewer copies. I mean, talk about a win-win. When many people hear cooperative learning, they think prep time. This doesn’t have to be the case though. Instead of strategies that require a lot of prep, you can use the strategies detailed below with any worksheet you already have! This strategy requires partners to have one worksheet and a writing utensil. The first partner sits and is the scriptor with the writing utensil and the worksheet. The second partner stands behind their partner and is the scholar. The scholar reads the question aloud and does all the thinking out loud telling the scriptor exactly how to answer the question or complete the work. The scriptor either praises a correct answer or coaches the scholar to fix a mistake. After each question, partners switch roles and positions and begin the next problem. Why is Scholar and Scriptor so great? It makes thinking visible. My having to explain how to solve a problem the scholar is using metacognitive qualities to think through the solution and explain to their partner. What is the teacher doing while students complete the strategy? As the facilitator, you are walking around and listening in on students’ conversations. This way you are able to support students in the problem solving process as well as clear up any misconceptions as they arise. This is one of my favorite cooperative learning strategies for any worksheet when I am short on time. It requires each student to have their own paper and writing utensil. Students stand up with their paper and writing utensil and find a partner. Each partner solves a problem or answers a question on the worksheet they received from their partner and writes their name by their answer. Partners get their own papers back and check the new work. If they agree with the answer they thank their partner and repeat the process with new partners until all questions are answered or time is out. If they disagree with the answer they work together to come to an agreement. 1. They cannot go back to the same partner again until they have traded with every student in the class. 2. They have to answer a different question as many times as possible. These are both easy to monitor because each student must write their name next to their answer, so if you see the same name on a students paper over and over again you know something is up as well as if you seem the same name on the same problem on multiple papers you also know the deal. Why is Find Someone Who so great? Students are given the opportunity to get up and move around the room while working with multiple people. As the facilitator, you are walking around and listening for any confusion. You are also available to answer any questions as they may arise. 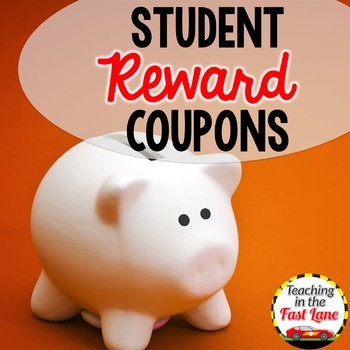 For this strategy, you will need one worksheet for the whole class as well as a whiteboard and dry erase marker for each student. Students should be seated in teams of four. The teacher reads the question aloud and displays so that everyone can see it. Students are given think time. Students use their whiteboard and dry erase marker to solve the problem placing their board face down to signify they are done working. Students turn over their boards and discuss their answer with their team. If they agree they erase their boards and wait for the next step. If they disagree they must work together to come to a consensus before erasing their boards. Teacher calls on one student per team to share out the answer. The class discusses the answer and clears up any misconceptions before repeating the process with the next question. Why is Heads Together so great? Students work out each question on their own but are given the safety net of comparing and discussing answers with their teammates before having to provide their final answer. This strategy is much more teacher led, so you will be reading the answer and calling for students to meet with their teams as well as asking for the answer of each question. While students are working you can walk from team to team to see how students are doing working on their own whiteboards as well and help out with any disagreements among teams. Want More Cooperative Learning Goodness? These strategies are just three of the many cooperative learning strategies for any worksheet. For more ideas, check out this post for lots of cooperative learning ideas! Subscribe to our newsletter and receive this FREE 7 Continents Jigsaw cooperative learning activity and get started with cooperative learning strategies today! Success! Now check your email to confirm your subscription and receive your FREE 7 Continents Jigsaw resource.